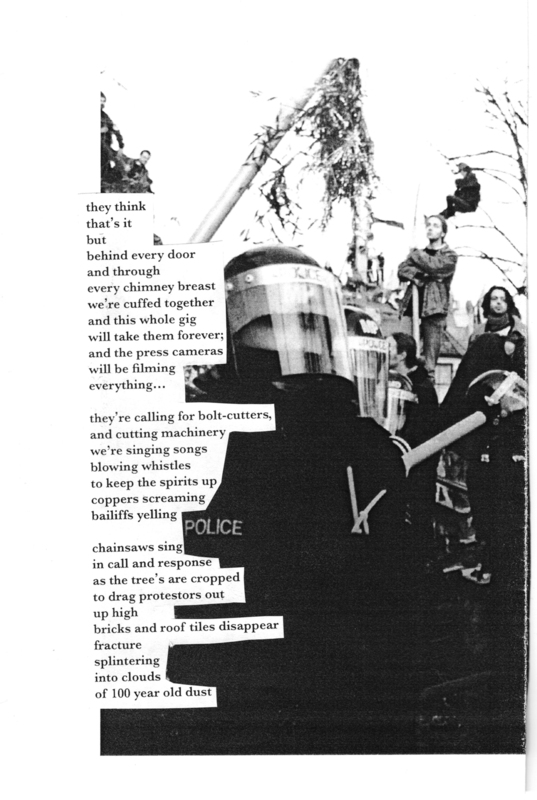 An experimental collage/text, Place Waste Dissent was published last November by Influx Press. Please use the arrow buttons to navigate between works. 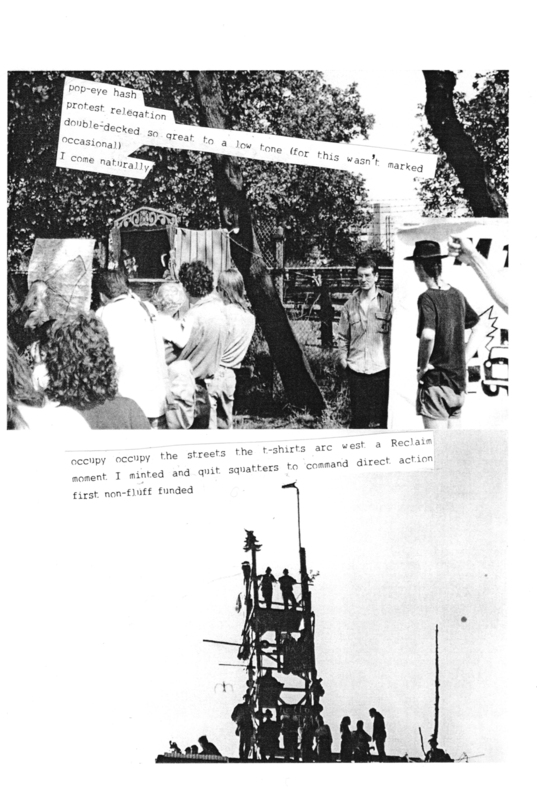 Having spent three years in the early 1990s occupying properties and protesting in Claremont Road, east London, poet Paul Hawkins maps the run-off, rackets and resistance along the route of the proposed M11 Link Road. Using the voices of Dolly Watson, Old Mick and many others in avant-garde experimental text and lo-fi collage, he explores place, waste and dissent; the stake the Thatcher/Major Tory government was driving into the heart of the UK. From Claremont Road to Cameron via surveillance culture and Occupy: transient-beta memory traces re-surfacing along the A12. This collection is an important reflection on a historic site of resistance, offering us illumination, ideas and inspiration for the future.